In yet another attack on Chinese nationals on Pakistani soil a convoy of 22 vehicles comprising Chinese engineers employed in the China Pakistan Economic Corridor (CPEC) has been targeted in Balochistan resulting in number of casualties.This was the third attack on Chinese assets during the past six months by Baloch Liberation Army (BLA) which has been protesting China’s growing presence in Balochistan. BLA, which is also opposed to CPEC targeted Chinese consulate in Karachi last November, in a dare devil act. The attack on the convoy occurred near Hamdard University in Karachi city, ET has learnt. While the figures are not known number of casualties of workers and engineers have been reported by Pakistani news channels. Jeeyand Baloch, a spokesperson for BLA in a statement noted,“BLA fighters attacked the convoy of Chinese engineers-consists of 22 vehicles, with a remote control bomb in front of Hamdard university in Karachi city. The attack resulted in killing of several Chines engineers and workers”. “This attack is the continuity of the BLA’s policy of not allowing any force including China, to plunder the Baloch wealth in Balochistan. Our fighters had carried out deadly attacks on Chinese interests and engineers in the past and series of such attacks will continue with intensification until China terminates the nexus with Pakistan, regarding Baloch land” he added. Earlier BLA carried out an attack on Chinese consulate in Karachi city in November last year and claimed responsibility for an attack last August on a bus carrying Chinese mining workers in Balochistan. 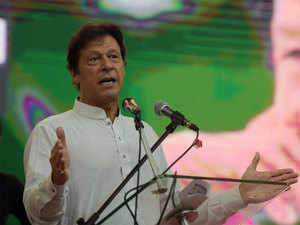 The attack coincides with the visit of PM Imran Khan to Balochistan, including Gwadar city. Jeeyan Baloch claimed that the time of this attack was chosen to give a clear message to Prime minister of Pakistan and international investors that Baloch fighters are capable of defending their land.